George Zhou was among the first people I met after my move to Beijing in 2004 and I saw him go from honing his mixology skills at tiny bar First Cafe to opening, with Echo Sun and Ralph Ziegenhorn, the spacious Q Bar atop the Eastern Inn just two years later in 2006. It was a quick success story. The partners later split, George left to open George’s in Workers Stadium, and Q eventually closed. Now Zhou has reclaimed the Q space and will “soft open” it tonight. This blog has always focused on stand-alone bars, on entrepreneurs who put it on the line day in and day out, who come up with creative ways to make their marks, and who often face massive financial headaches in doing so. 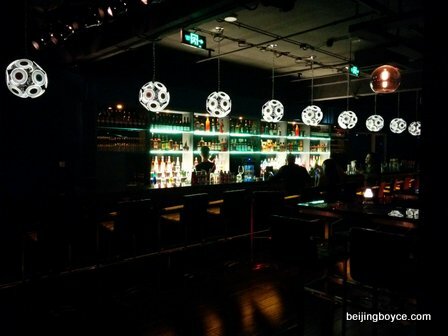 That’s what makes the story of the new Q so intriguing, because surviving in the Beijing bar business is not easy, but for someone to do it for more than a decade and retain the desire to succeed is admirable. It’s also impressive how fast Q has come together. A week ago, the paint was still drying, the floors were yet to go down and the furniture was on its way from south China. Now the new Q is pretty much ready to go. Yes, there will be some fine-tuning: there is new staff training to do, finalization of the cocktail menu and ensuring the process of getting from the hotel lobby to the bar is smooth. 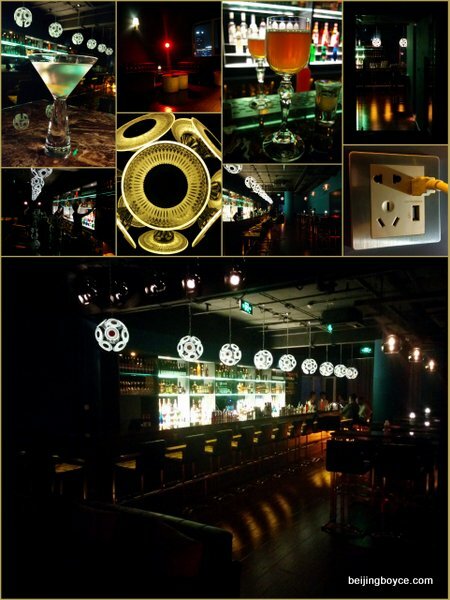 But the addition of a quiet rooftop, a 40-foot bar inside and rmb50 martinis to the scene–not to mention touches like a 100 Mbps wifi connection and USB ports embedded in the bar–is welcome. I’ll do a review of this place in a few weeks, when it’s fully on its feet. In the meantime, I plan to simply chill out at the new Q and have a martini or two.